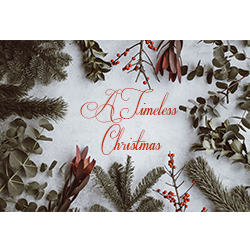 Our Music Theatre students have been working hard on the wonderful production, A Timeless Christmas. We invite you, you family, and friends to join us as we usher in this wondrous season and enjoy a beautiful show! We have a 5 PM and a 7 PM showtime.